(19/P004) TRENTON – A beachfront restaurant helping protect the ocean with a no-straw policy, a brewery helping to mitigate climate change by keeping waste out of local landfills, and a funeral home supporting New Jersey’s clean energy economy by installing solar power are just some of the New Jersey businesses being recognized this year for becoming members of the New Jersey Sustainable Business Registry. 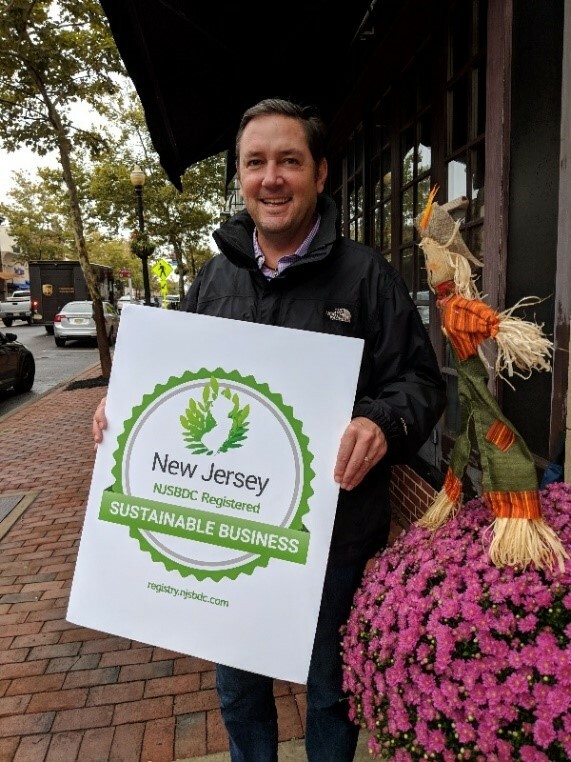 Langosta Lounge in Asbury Park, Monmouth County; Angry Erik Brewing in Lafayette, Sussex County; and Prout Funeral Home in Verona, Essex County, are among the more than 40 businesses being honored for joining the New Jersey Sustainable Business Registry in 2018. Each received a certification of innovation in sustainability from the Department of Environmental Protection. The New Jersey Sustainable Business Registry was created through a partnership among the DEP, the New Jersey Small Business Development Centers and Rutgers University. Since the registry’s inception, more than 150 businesses and other organizations have identified and implemented at least five environmental practices required to receive recognition. The concept for the registry was developed by the DEP’s Air Quality, Energy and Sustainability Program. These efforts have saved these businesses a total of $5.7 million. Moreover, they have reduced water use by 12.5 million gallons and reduced emissions of greenhouse gases by nearly 8,600 metric tons, proving that collectively small steps can add up to big environmental benefits. As it pertains to business practices, the driving force behind the idea of sustainability is that through careful planning and wise use of resources, businesses can make decisions that reduce waste, save energy and cut down water consumption – all while preserving resources for the future. Examples include implementing green building practices, purchasing and selling products that are grown or developed sustainably, installing renewable energy and energy-saving lights, and planning purchases of perishable foods carefully to reduce waste. Helping consumers make choices about businesses based on their commitment to the environment. A Small Green Space LLC, Jersey City, Hudson County; ACT Engineers, Robbinsville, Mercer County; Adams Party Rental, Hamilton, Mercer County; Alementary Brewing Co., Hackensack, Bergen County; Angry Erik Brewery, Lafayette, Sussex County; Atlantic Health System - Chilton Medical Center, Pompton Plains, Morris County; Atlantic Health System - Hackettstown Medical Center, Hackettstown, Warren County; Atlantic Health System – Newton Medical Center, Newton, Sussex County; Atlantic Health System – Overlook Medical Center, Summit, Union County; and Canntech LLC, West Orange, Essex County. Also, Cherry Grove Farm, Lawrenceville, Mercer County; Cherry Street Kitchen LLC, Trenton, Mercer County; Double Take Boutique Ridgewood, Ridgewood, Bergen County; Double Take Boutique Short Hills, Short Hills, Essex County; Electric Spokes, Verona, Essex County; Exquisite Property Services, Newark, Essex County; ForDoz Pharm, East Windsor, Mercer County; Gina the Baker, Ridgefield Park, Bergen County; Habitat for Humanity of Burlington County and Greater Trenton Princeton, Maple Shade, Burlington County; Henderson Lumber Mills Inc., Jersey City, Hudson County; Hogan Security Group, Pennington, Mercer County; Hogan Self Storage, Pennington, Mercer County and IKEA Distribution Services, Westampton, Burlington County. Sustainable Princeton Inc., Princeton, Mercer County; Taft Communications, Lawrenceville, Mercer County; Teaneck Creek Conservancy, Teaneck, Bergen County; The Millington Group, Red Bank, Monmouth County; Tomfoolery Brewing, Hammonton, Atlantic County; Veranda Technologies, Brick, Ocean County; Windsor Nissan, West Windsor, Mercer County; and Zed’s Beer, Marlton, Burlington County.